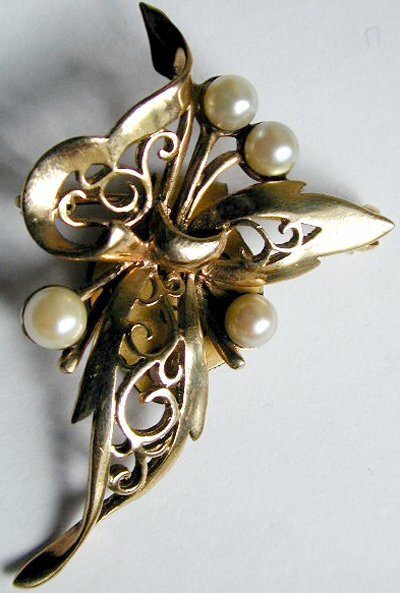 Nice quality, 3 pearl 9 carat gold, Brooch. Lovely quality and dating from the 1950's. 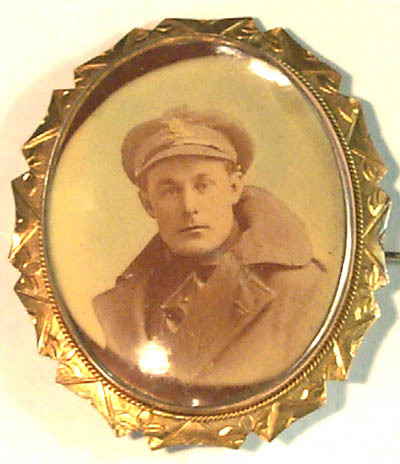 Also, on the back of the stylised fowers is the mark "JCY & Co. 9ct". Very Stylish with lovely workmanship. A lovely Giff 9 carat Gold fully hallmarked with embedded Ruby's and a striking Opal. 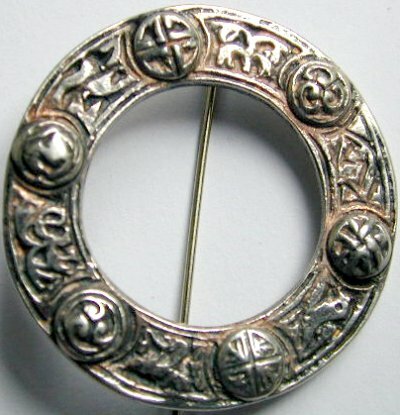 The brooch also has a locking clasp. 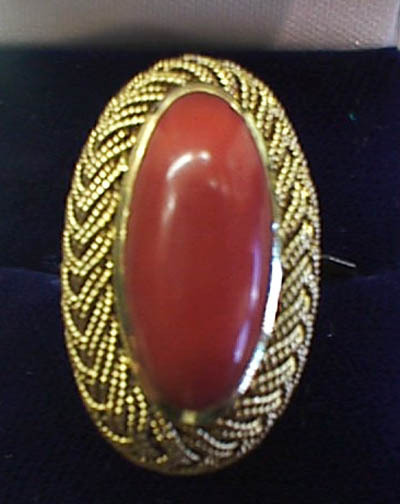 A lovely piece of Dress Jewelry, great for any occasion. 1930's Are Deco, silver and marcasite clip set with a large Baroque natural pearl. 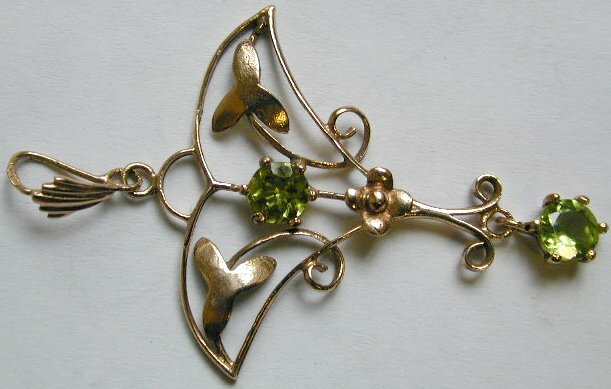 A lovely piece of Art Deco jewellery. 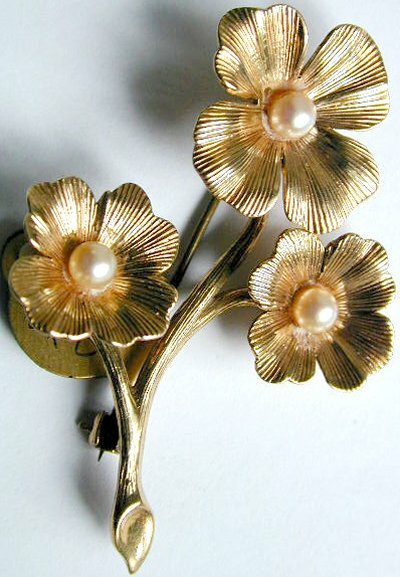 Super quality, fully hallmarked, 1960's 9 Carat gold brooch consisting of 3 stylised flower heads each on a stem. Each individual flower head set with a cultured pearl, also with a locking clasp. 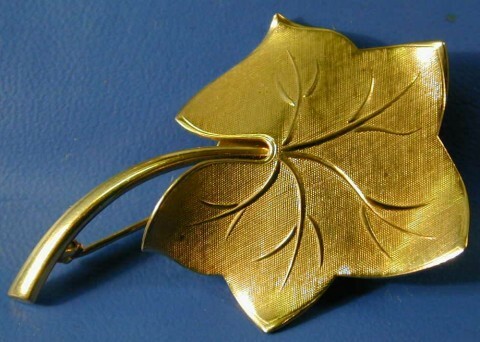 Fabulous quality 9ct gold 1950's leaf brooch. A very wearable piece in super condition. 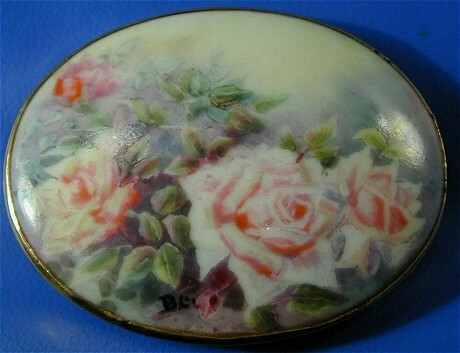 A delightful hand painted miniature on porcelain in 9ct antique gold brooch mount. Circa 1890. Beautiful condition. Victorian 9ct gold bird and heart bar brooch. In good condition with very small indentation on end of bar. 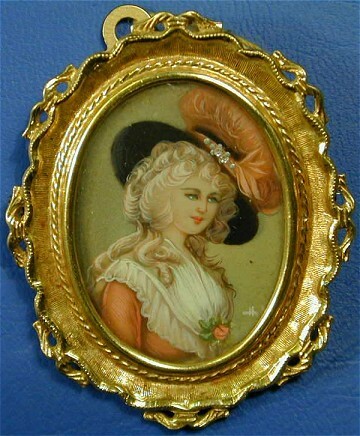 Hand painted miniature on ivory of a lady. 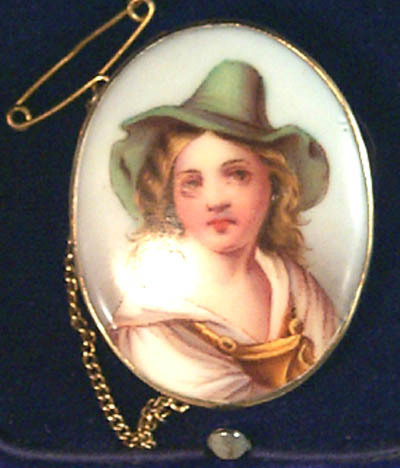 The miniature painting in-set with small diamonds in her hat. 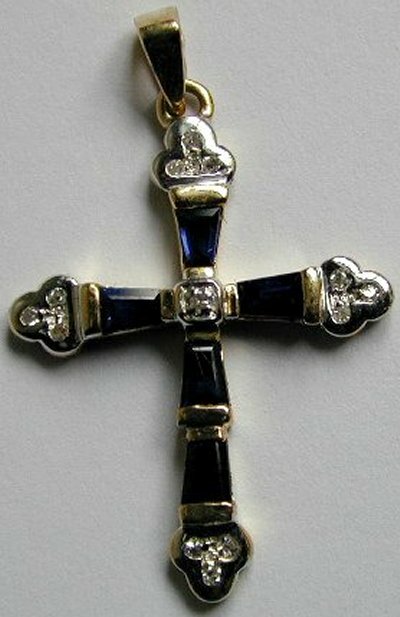 The miniature in heavy 18ct gold brooch mount which can also be worn as a pendant. A lovely piece. 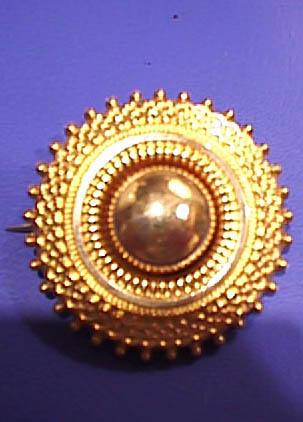 Antique gold circular design brooch with locket compartment at the back, Etruscan style. Very good condition and possibly in original box. Ladies Victorian 9ct gold bar brooch, consisting of a central set ruby surrounded by eight seed pearls, lovely condition. Circa 1890.